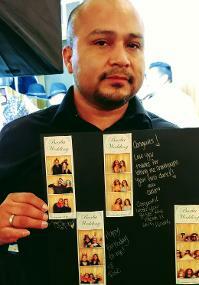 Rico Entertainment is proud to offer Photo Booth services! 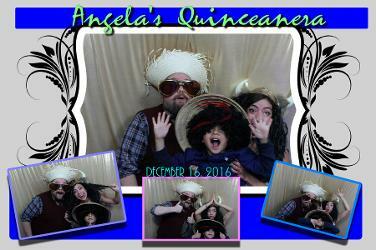 Photo booths are one of the most popular services at Weddings, corporate events, Sweet Sixteens, Holiday parties, and just about any occasion! They are extremely fun to use and EVERYONE loves them! - We correspond as needed with you and we accommodate your requests ahead of time. - Early arrival "prior" to the scheduled start time for set up. 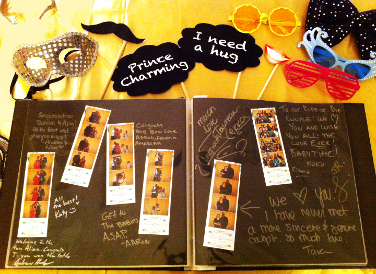 - Nice and Sleek Photo Booth design (it glows and changes colors). *See photos below. - Two screens: 1 touch screen and 1 monitor for public viewing in real time as photos are taken. - External lighting for correct photo exposure. - Beautiful prints. We can customize prints to your event- color theme and name(s). - Fun props! - QUALITY HATS, WIGS, AND OTHER FUN PROPS! - Digital copies of all prints. - Professional and easy to work with. 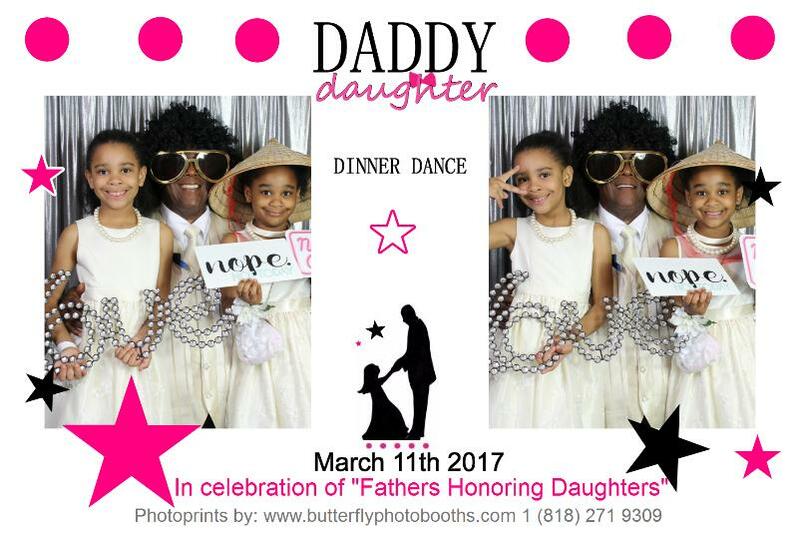 - We customize the Artwork on the prints: graphics, colors, text/fonts etc..
See below sample images of our photo booths prints. * There is a discounted rate/ package deal when adding Photo Booth services to any existing entertainment service (DJ service, Live entertainment, uplighting etc...). We service all of Los Angeles county, Inland Empire, Santa Barbara, San Diego, Santa Clarita, Palms Springs area, and many more cities. 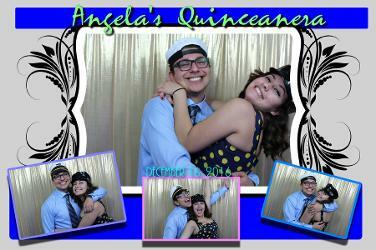 Our Photo Booth business began when we initially started providing entertainment services throughout all of southern California. It started with a passion and vision for the visual and performing arts. We wanted to share with everyone our love, passion, and dedication to music and art in accordance with our work ethic which holds us to high standards to meet our client’s needs. We started with "Live" entertainment and shortly afterwards included professional DJ services. The combination of "Live music and professional DJ services" was very successful. Later, we added "up lighting" installation services along with monogram design services. 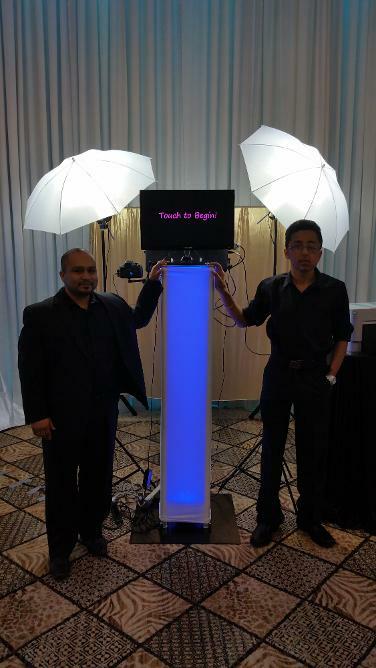 Our services have expanded from entertainment services, audio rentals, lighting installation services, to the professional PhotoBooth rental services that we currently provide. 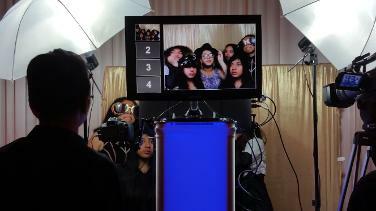 We provide photo booth rentals for weddings, parties and just about any type of event. 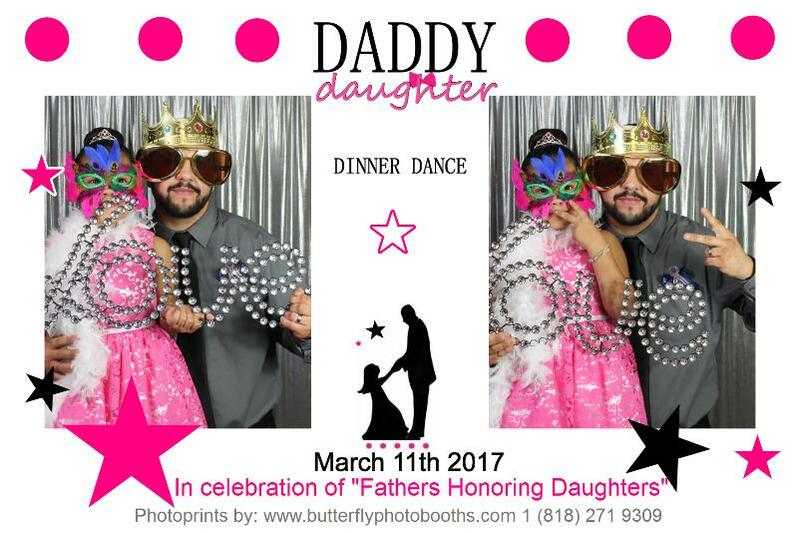 "Butterfly Photo Booth" rentals, the sister business of Rico Entertainment Inc. is operated out of Grand Terrace, Ca within the city of Riverside. We dedicate full time to the business 7 days a week, as we correspond with our clients during the event planning process. We care about all of our client's needs and we always do everything in our hands to make every event successful. Our Photo Booth rental services cover Los Angeles, Inland Empire, Palm Springs, San Diego, Santa Clarita, Ventura, Santa Barbara, Las Vegas, and many more cities. 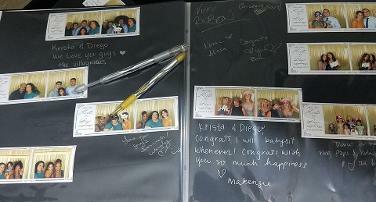 In addition to our professional Photo Booths, we pay attention to all the fine details. We are dedicated to our clients, and we go the extra mile to make your special day that much more memorable. 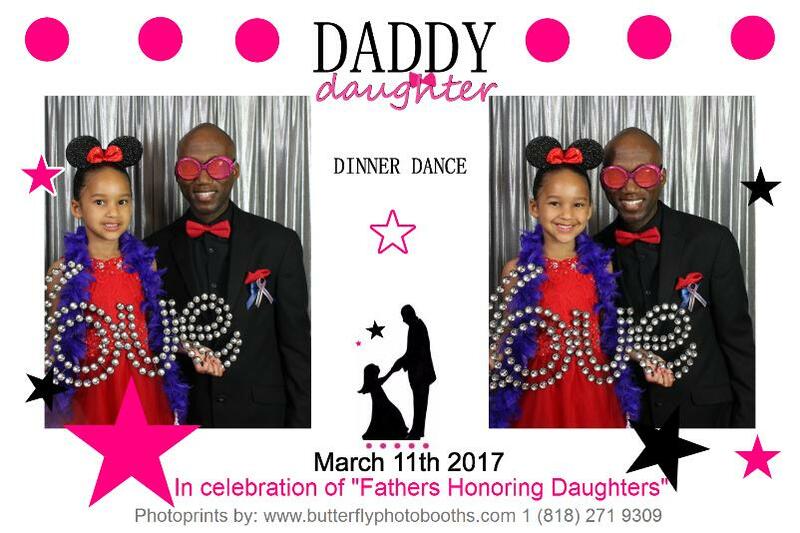 “Don’t settle with caterpillar booth….chose a Butterfly PhotoBooth”!